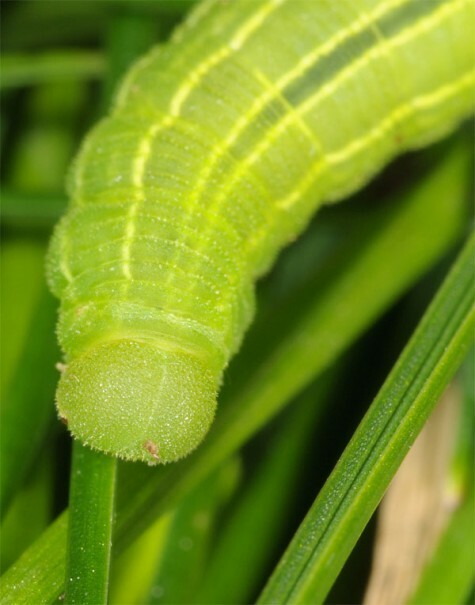 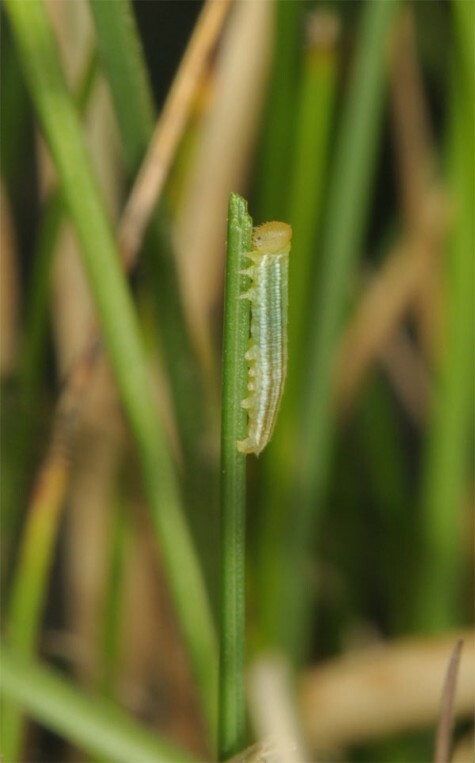 The larvae feed on grasses. 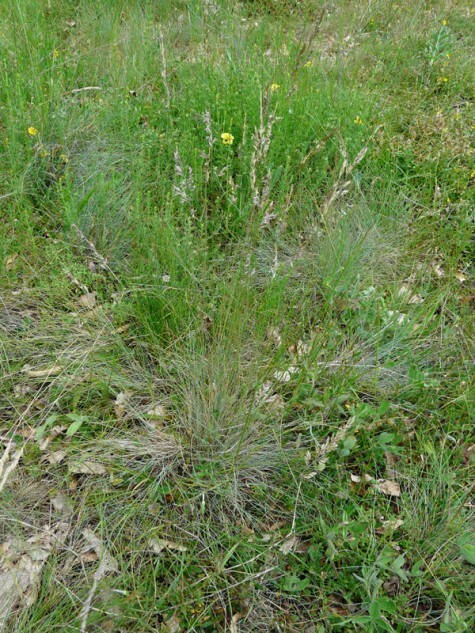 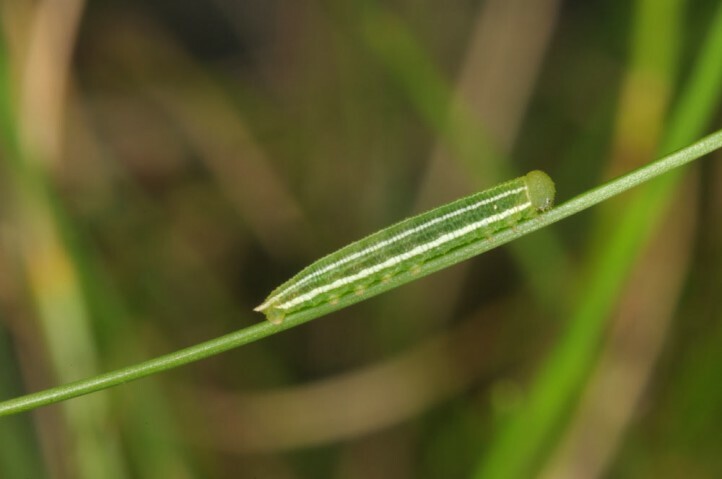 I observed oviposition on a blue-green, fine-leaved tussock grass of the Festuca ovina group in Northern Greece. 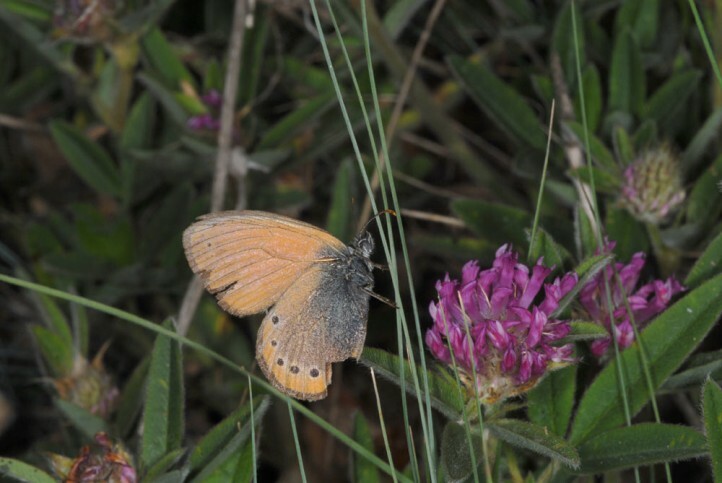 Coenonympha leander inhabits nutrient-poor grasslands, grassy slopes and pastures especially near the woodland or near to scrub. 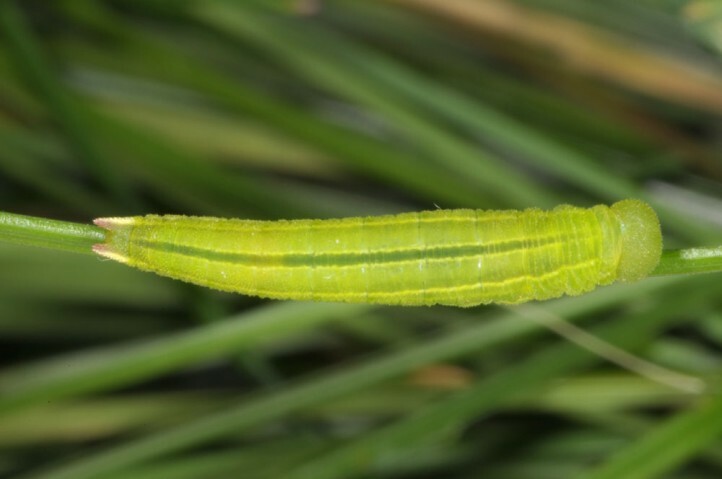 The adults occur between mid-May and July (according to altitude). 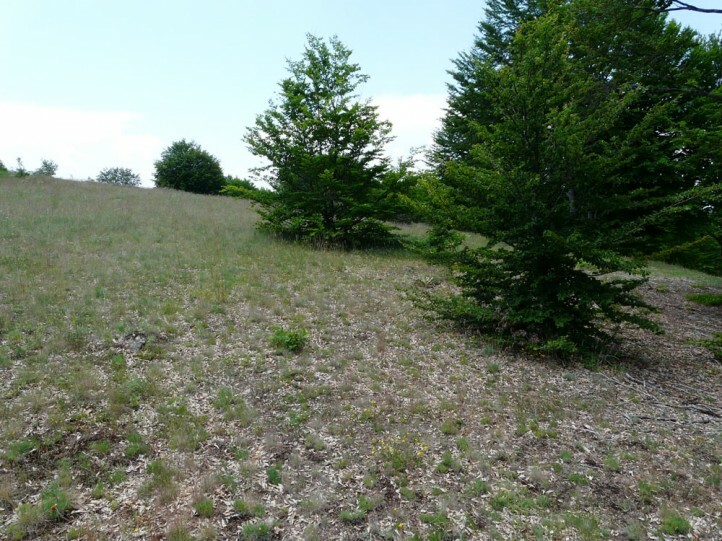 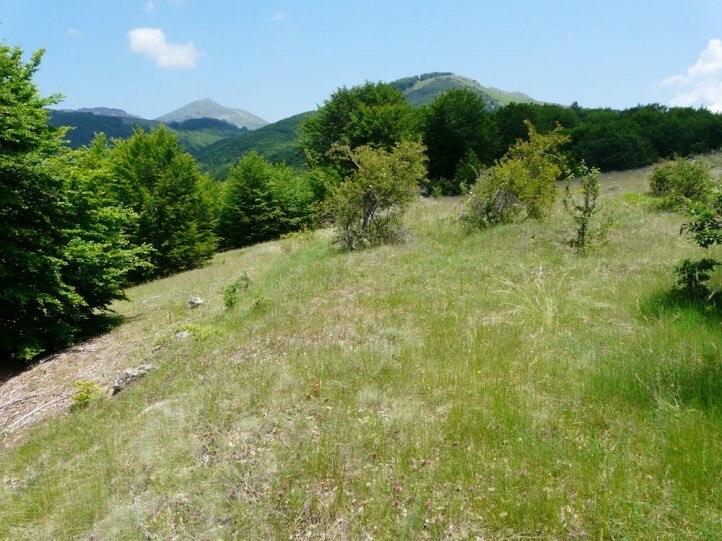 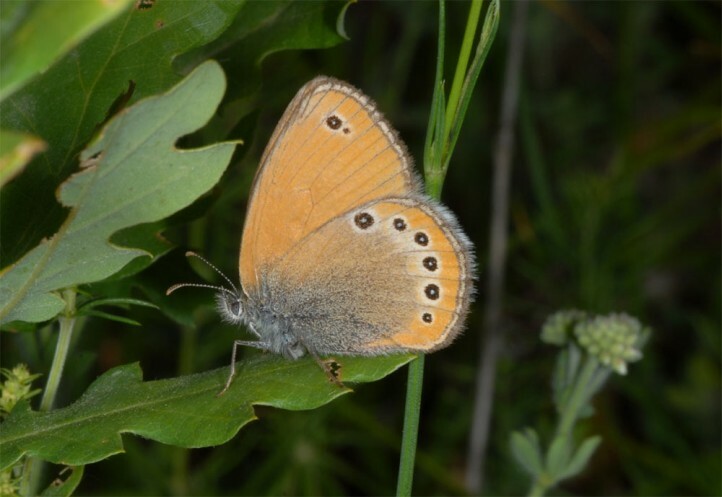 I observed worn males and rather fresh females on mount Vitsi (Florina) in Northern Greece in about 1500m asl in late June and early July 2013. 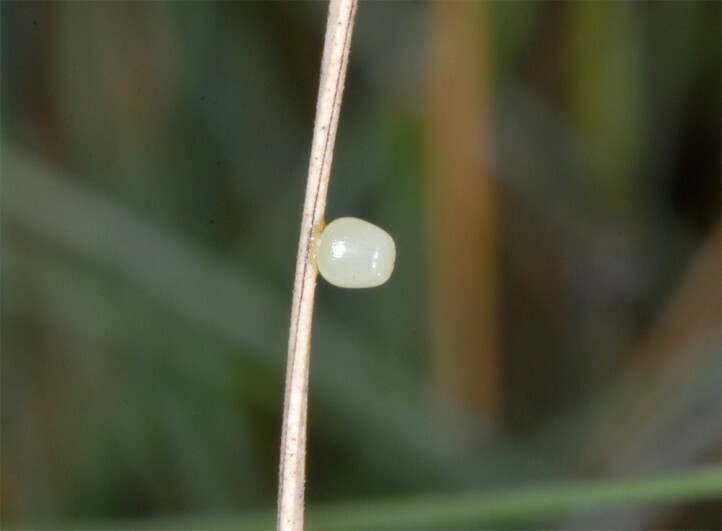 For oviposition the females landed on the Festuca tussocks, crawled further down and attached the egg near ground-level to grass leaves. 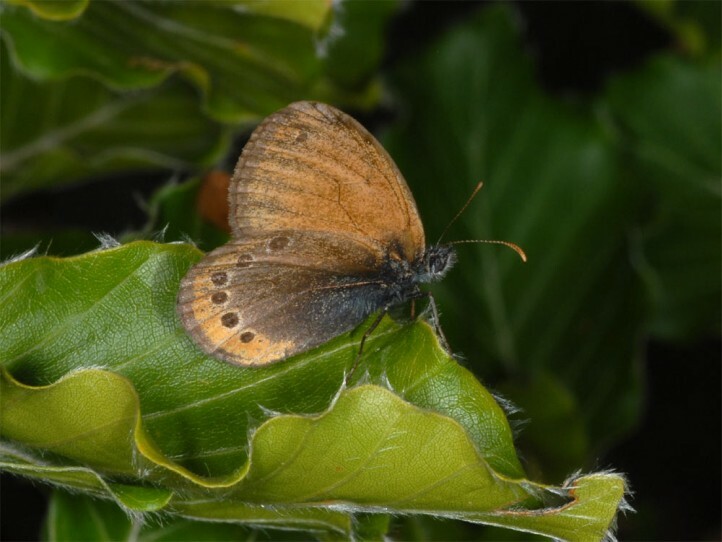 The adults often sit on the ground or on leaves of bushes and small trees up to several meters in height in order to sunbath with closed wings. 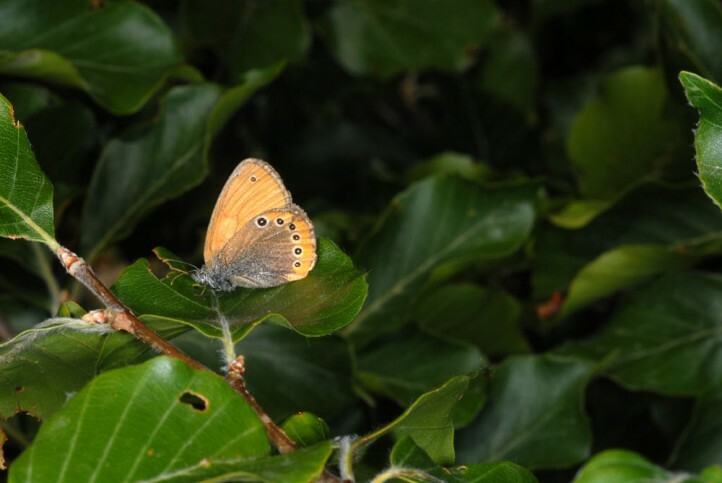 I watched most individuals directly on the edge of beech woodland to grasslands. 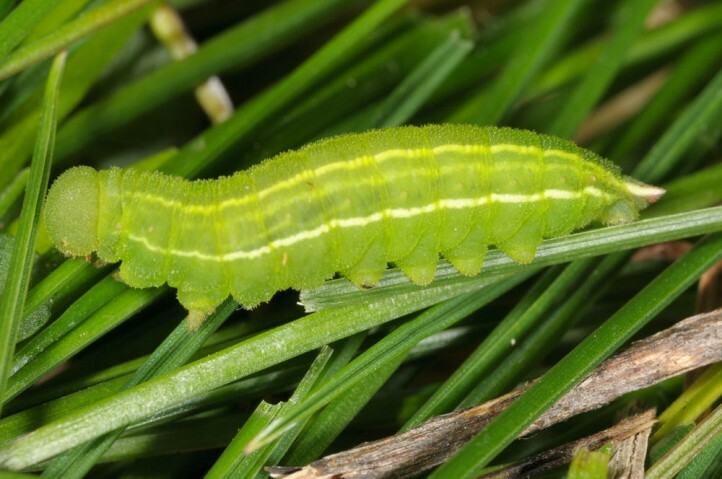 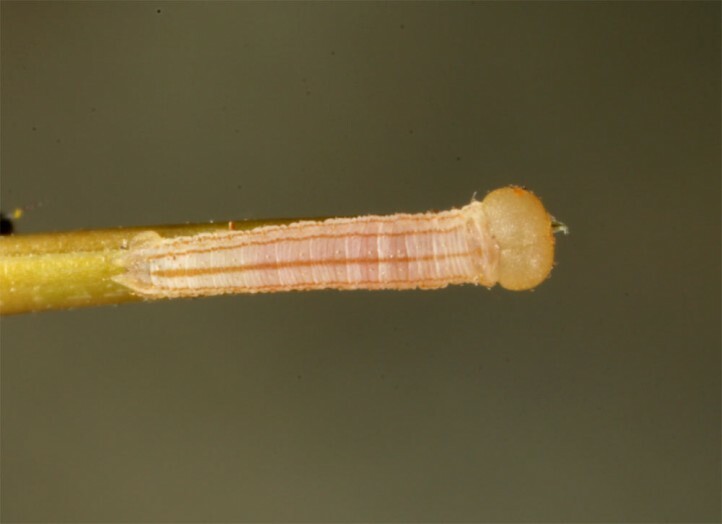 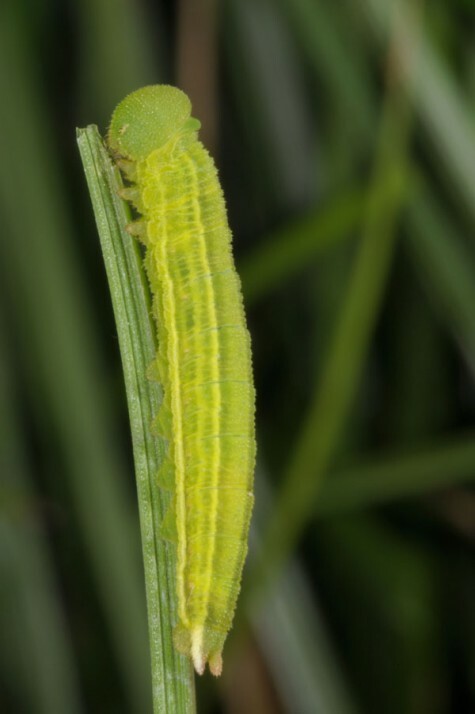 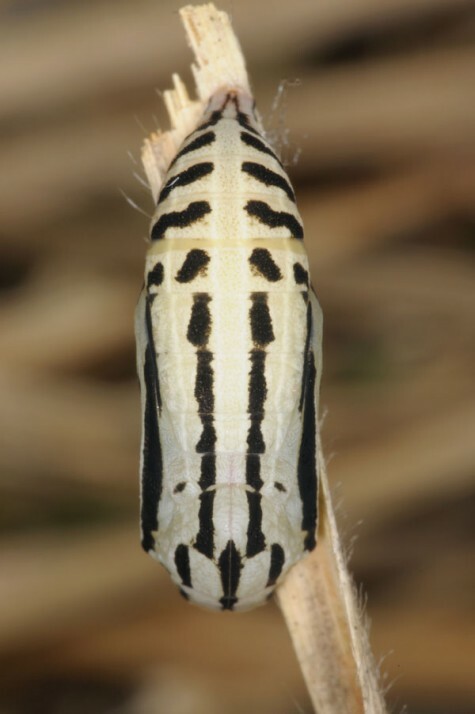 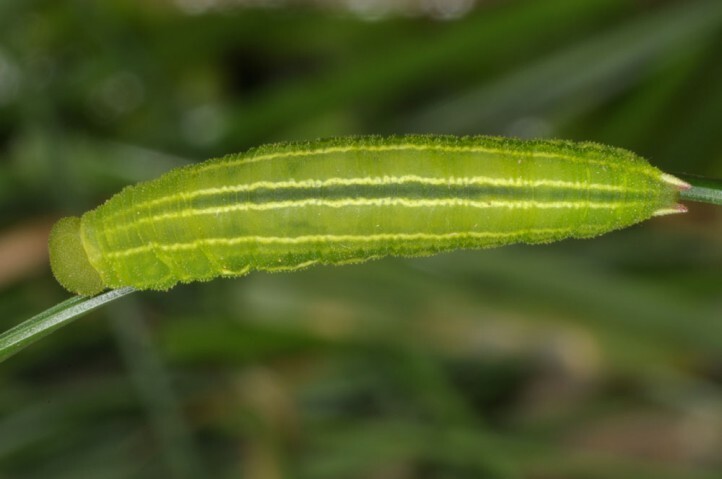 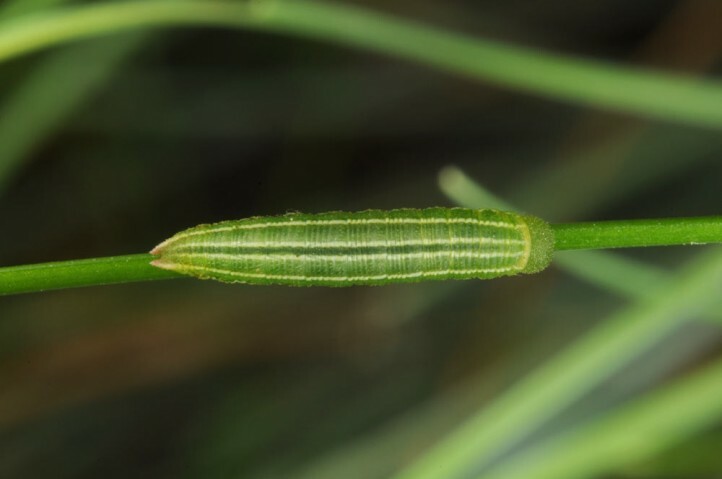 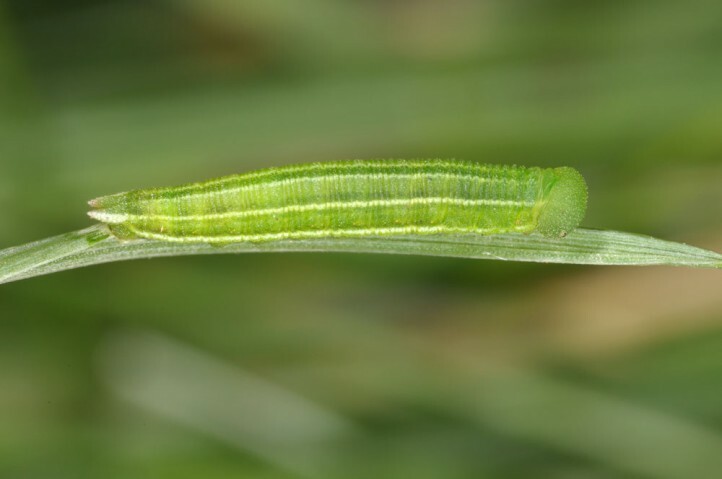 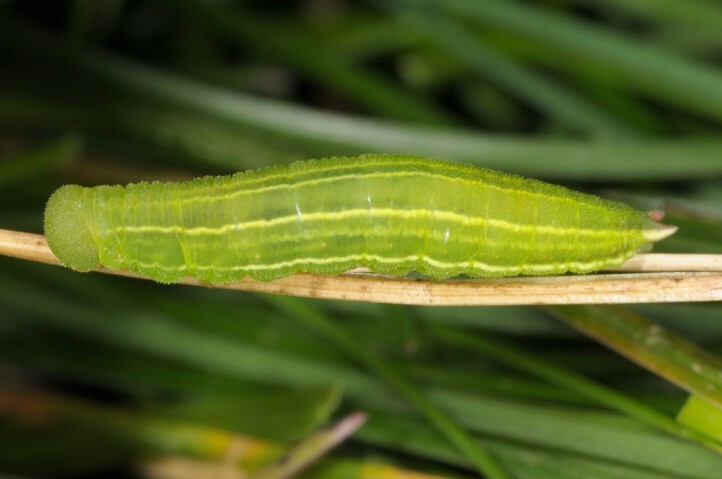 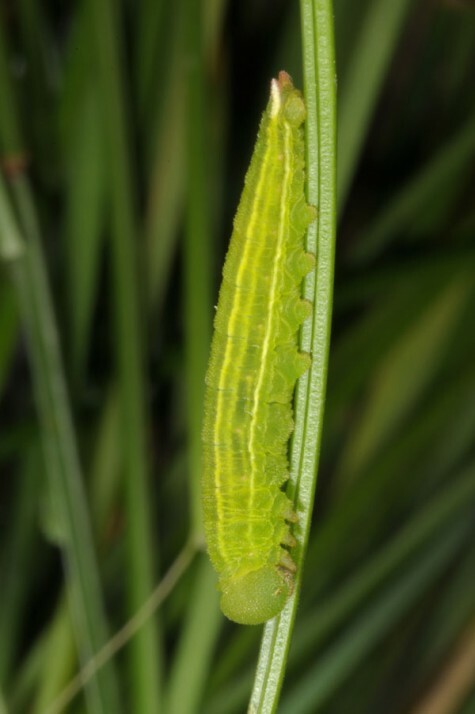 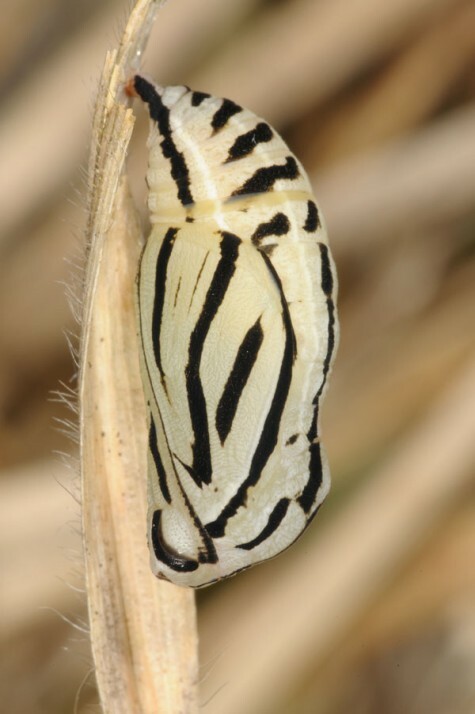 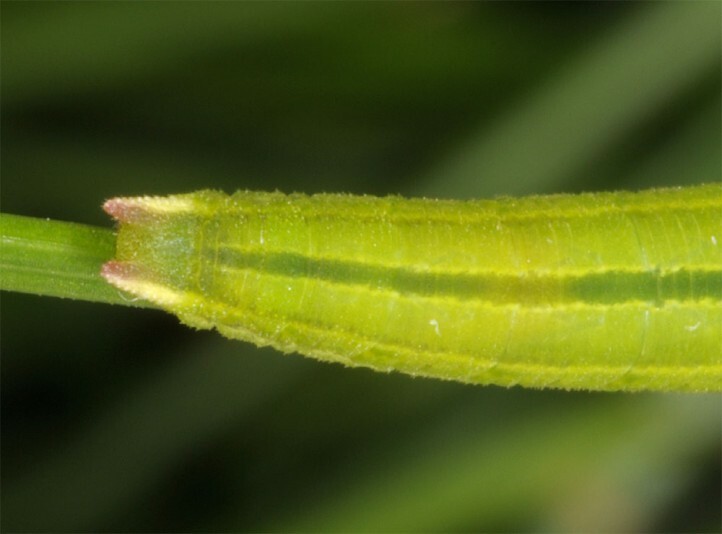 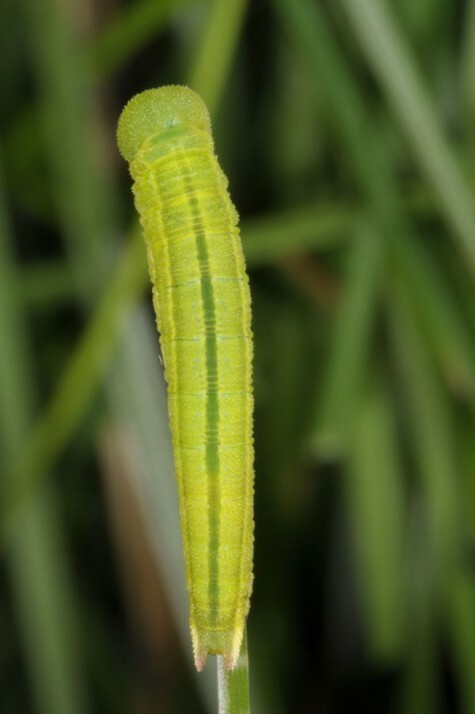 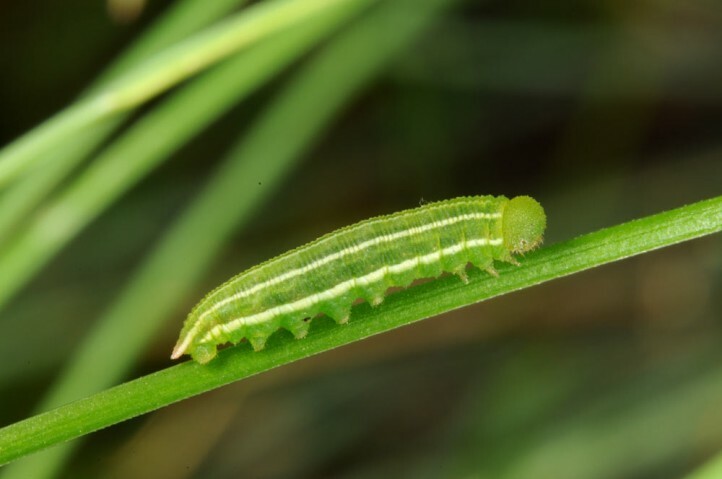 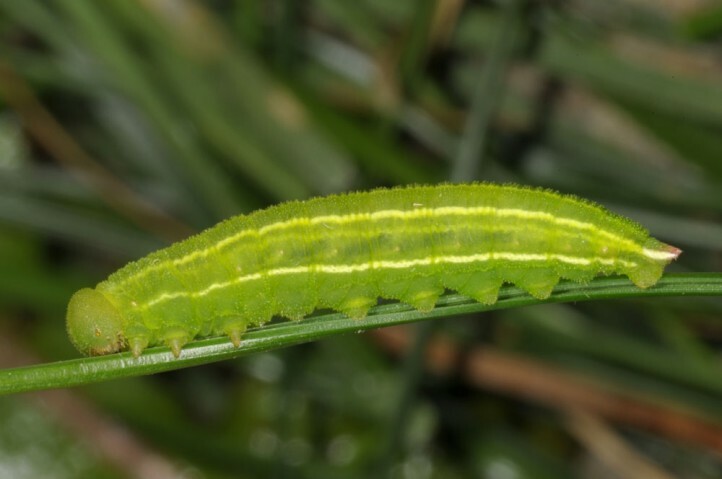 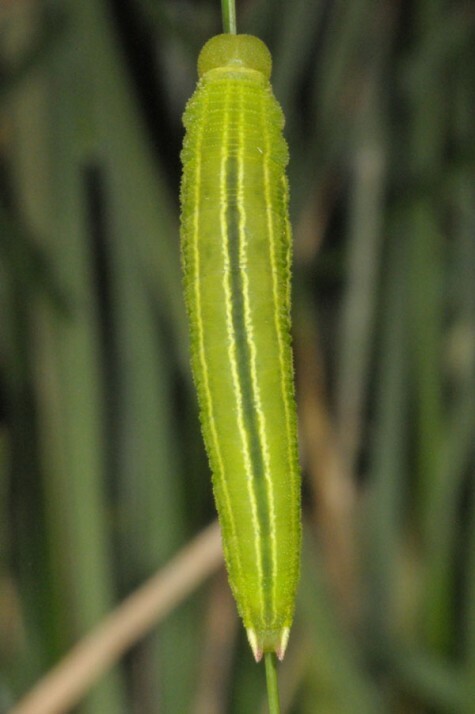 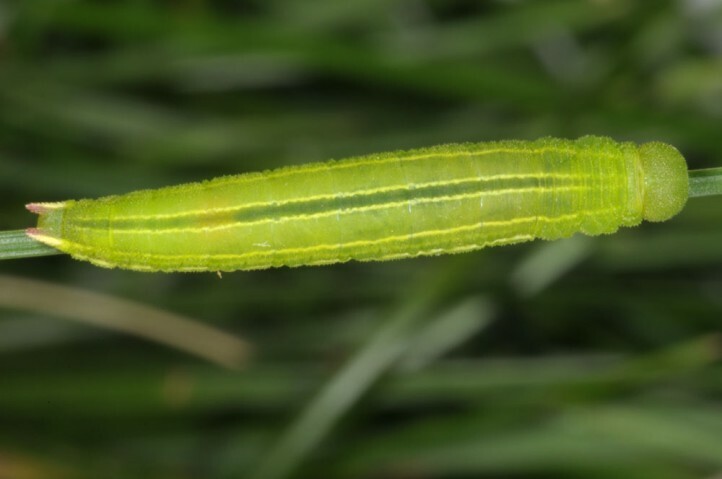 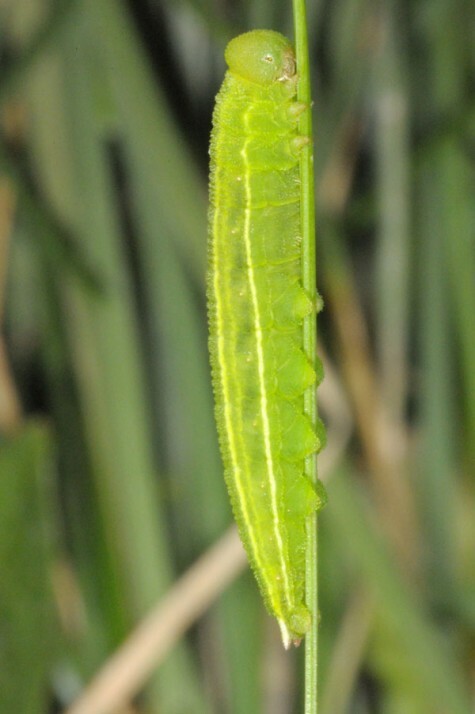 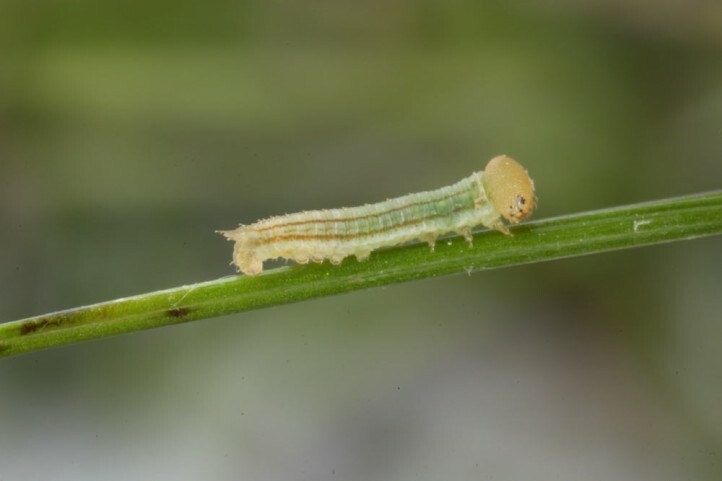 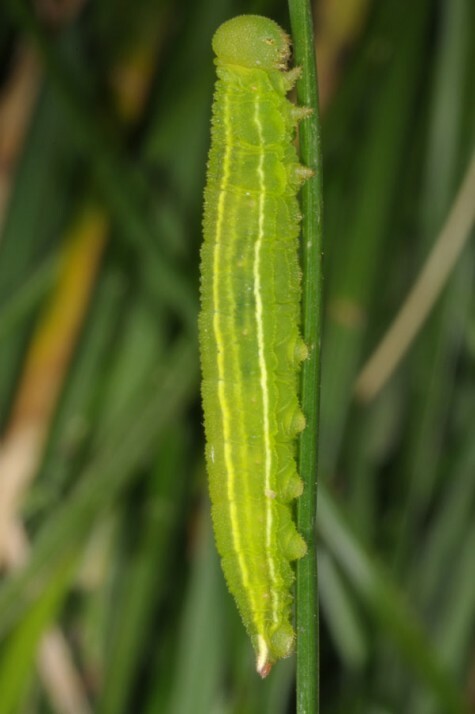 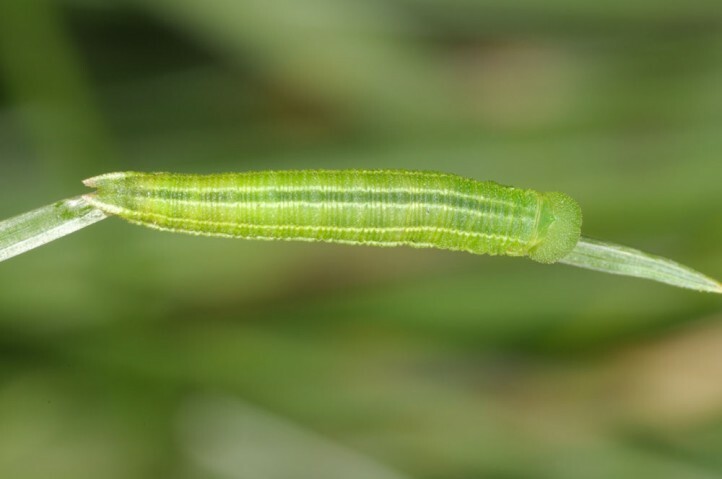 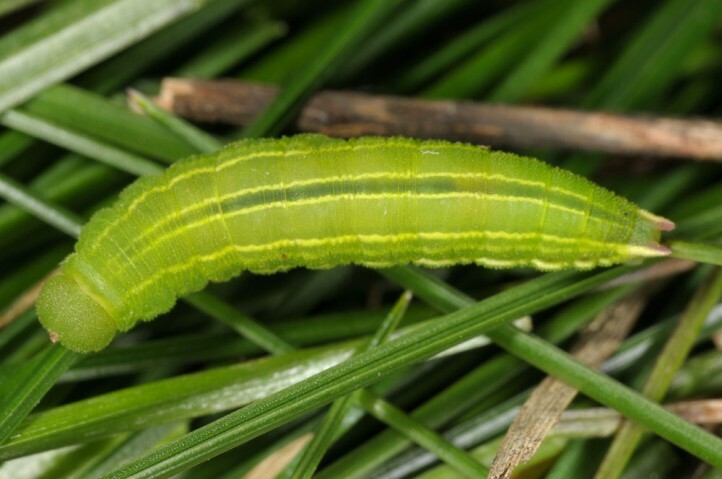 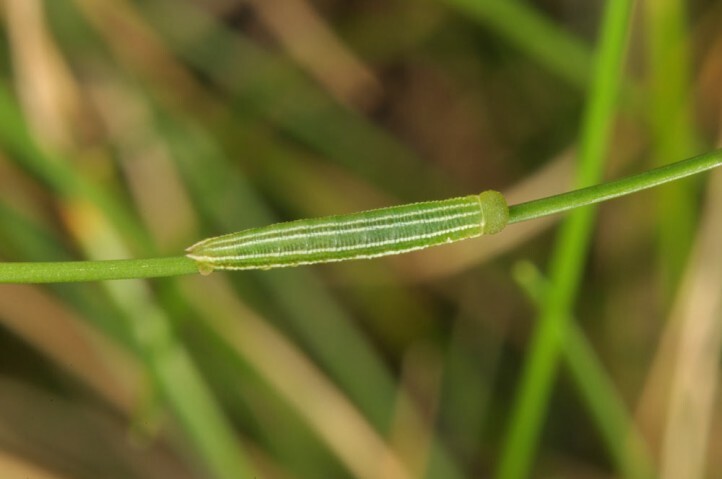 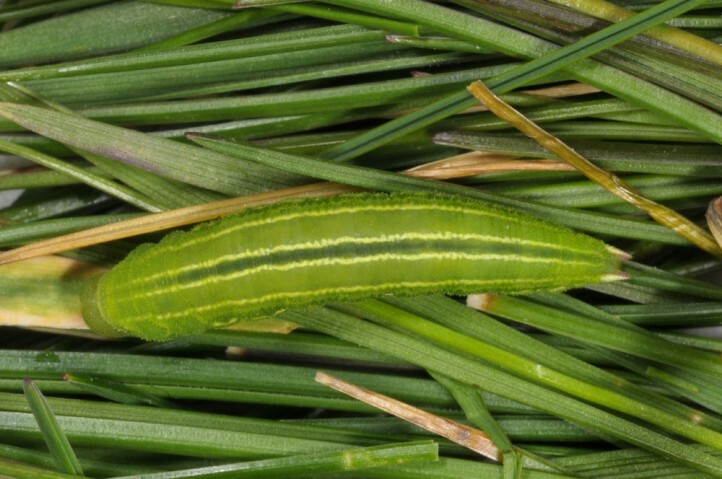 According to breedeing results the larva hibernates half-grown in ground-level parts of the tussocks and should be mature in late April or May. 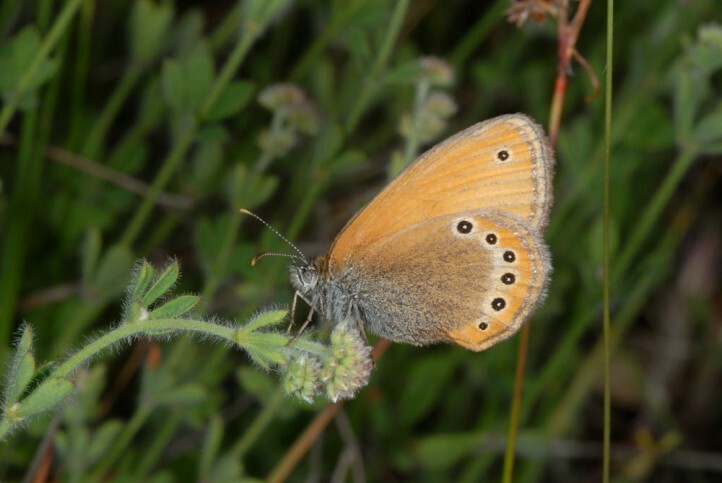 Coenonympha leander is probably endangered in lower altitudes because of ever increasing intensity of agriculture. 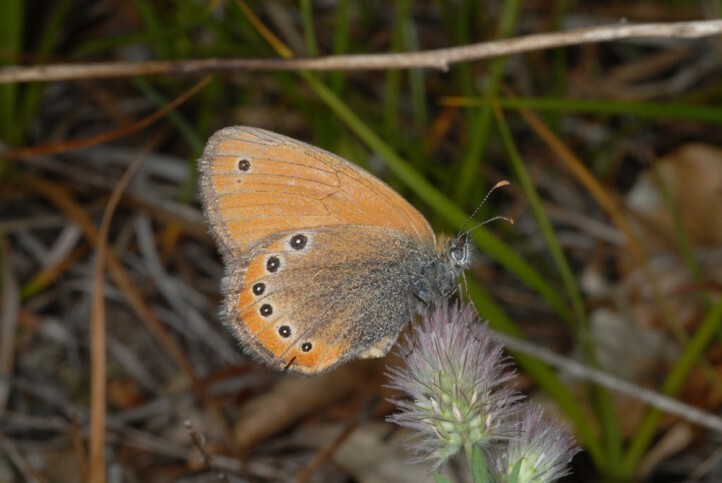 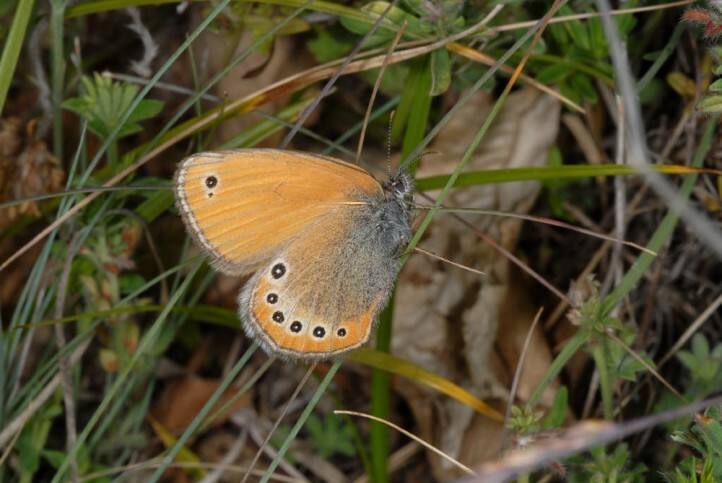 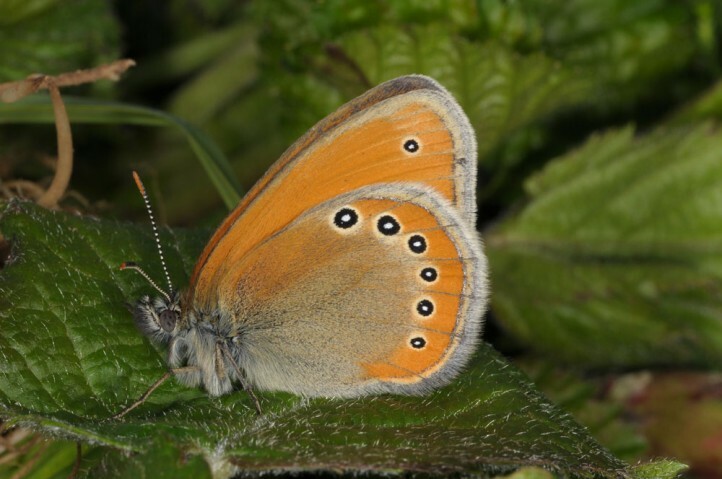 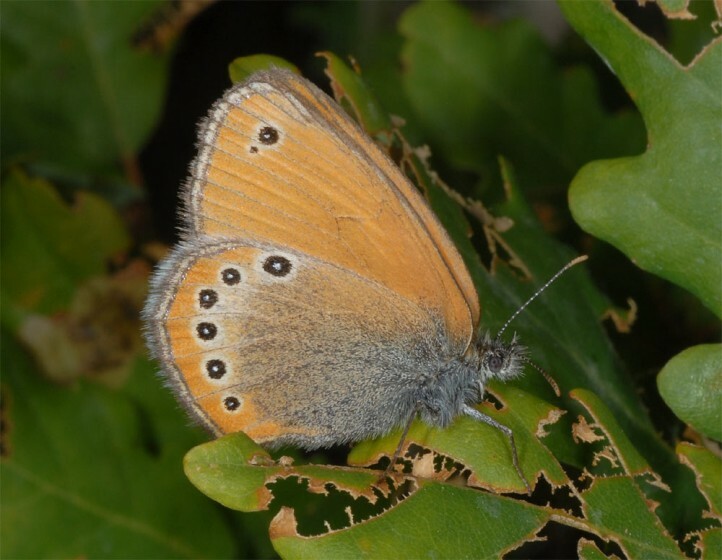 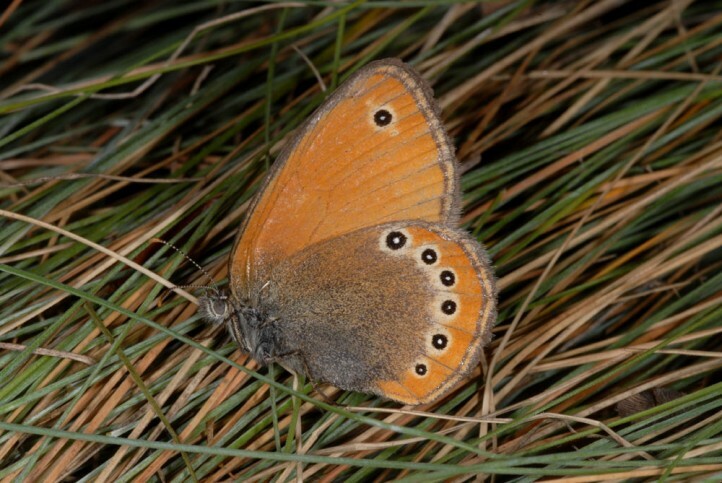 Coenonympha leander occurs in Europe in parts of the Balkan peninsula from Northern Greece to Romania and Moldavia. 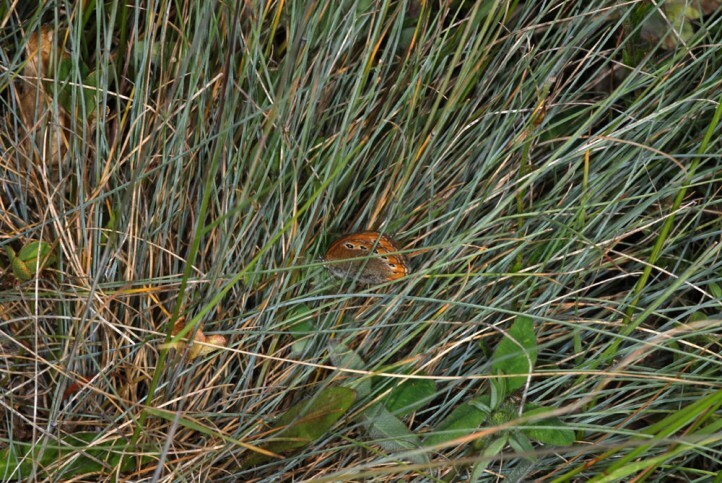 It is further recorded in southern Russia and parts of Asia.